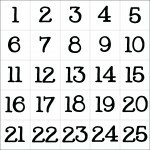 my son asks me a hundred times a day, “how many more days until christmas? !” i tell him that it’s getting closer, but that it’s not even december yet. so now “when will it be december? !” also gets asked many times a day. it appears we need a countdown to december. 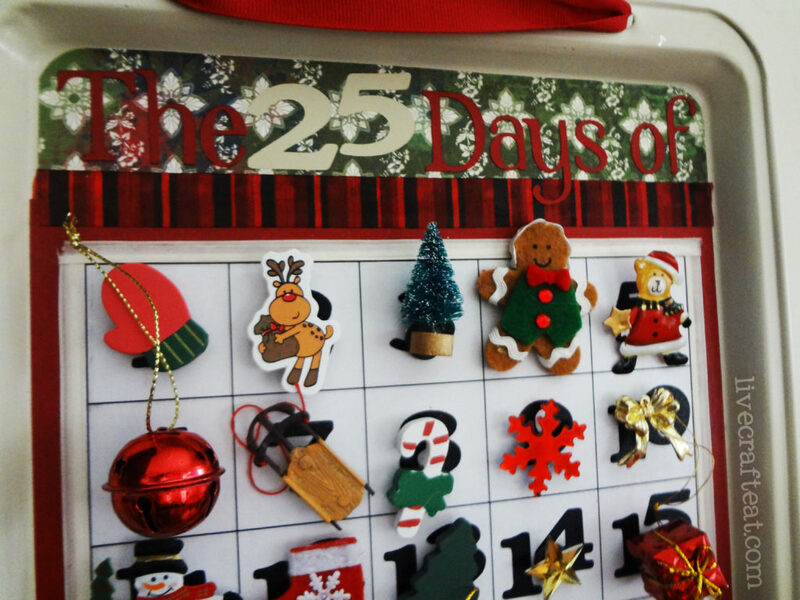 needless to say, i am so excited to start this countdown to christmas (starting december 1)! 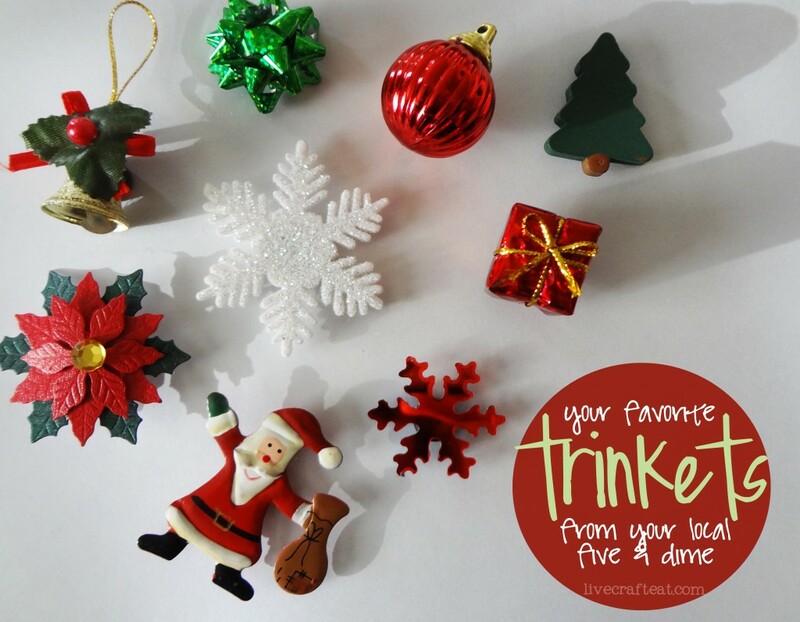 my kids will have so much fun putting up a trinket-a-day and seeing for themselves just how close christmas is getting! not to mention it just looks so darn cute as a christmas decoration! since i made this a few years ago, i don’t have a step-by-step tutorial, but it is just so darling, i’ll attempt to show you just how easy and inexpensive it is to make. it really doesn’t take that long (mostly just drying time), and most of the items needed can be purchased at dollar stores. 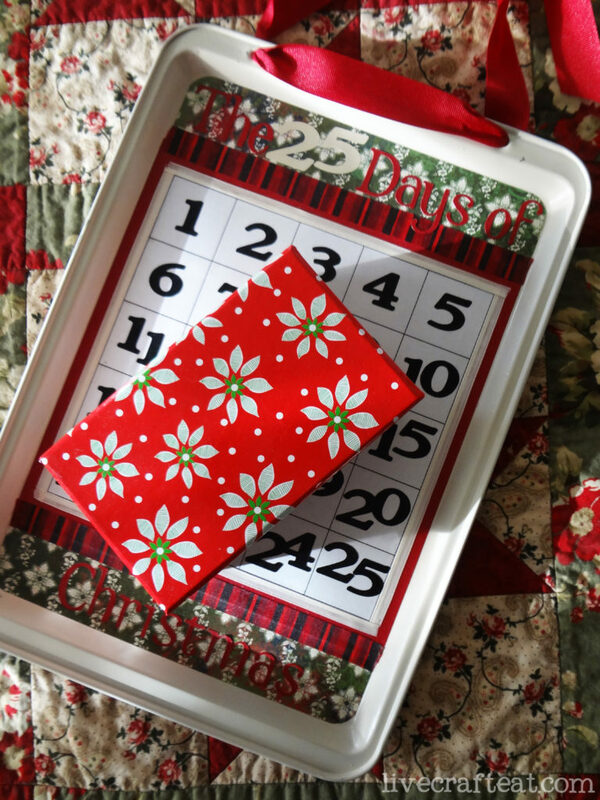 1. the first thing you’ll need to do it punch 2 holes in the top of your cookie sheet. this is where you will thread some wide ribbon to hang it. if you don’t plan on hanging it and would rather glue a huge magnet on the back and stick it on your fridge, if it’s magnetic (i’ve done this before – it’s cute!) 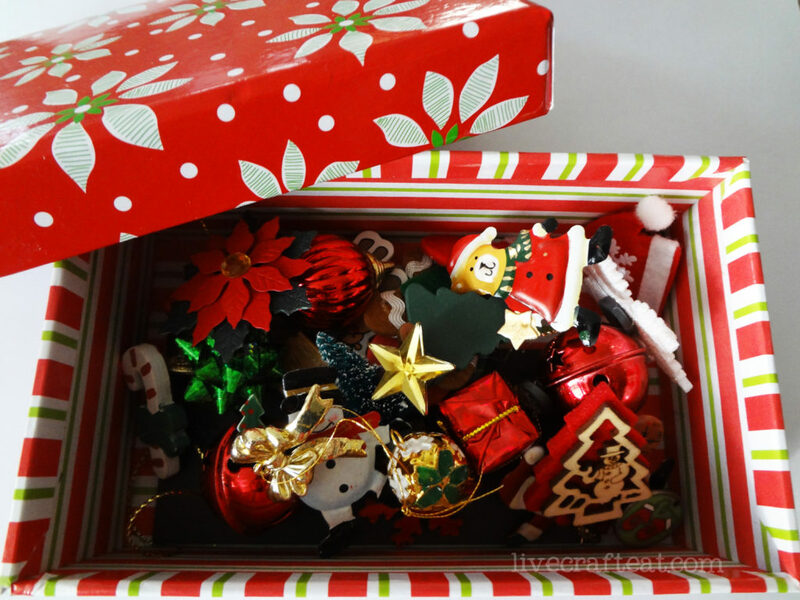 then you don’t need to punch any holes – you can just glue a bow right onto the top of the cookie sheet. 2. spray paint your cookie sheet. use whatever color you think would look best with your papers. let dry. 3. cut your paper. looking at the picture below, you can see just how to cut and where to place your papers and ribbons. don’t forget to round the corners. no measurements are given because the size and type of cookie sheet you get may differ from my own. but the concept will work with any size of cookie sheet, so long as it is magnetic. 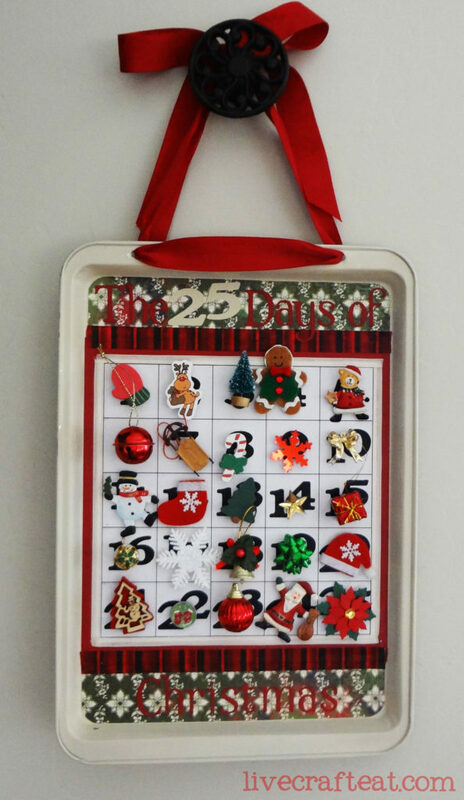 4. adhere the papers to the cookie sheet using either mod podge or your favorite adhesive. 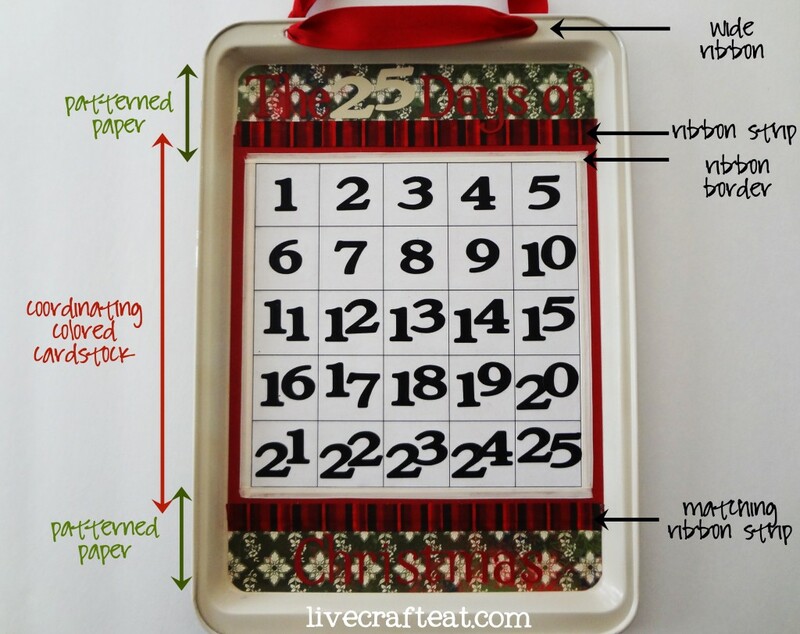 start with the patterned paper at the top and bottom. then layer the cardstock over top. cut out the number board and attach. now glue on all of your ribbons, and then a title/numbers (if using). 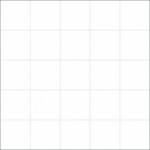 download blank number board here. 5. mod podge over the entire thing! make sure to not go over it to thick. you can always add more glue, but you can’t take it off once it’s on. start with a thin layer and then add more if you think you need them. allow mod podge to dry. 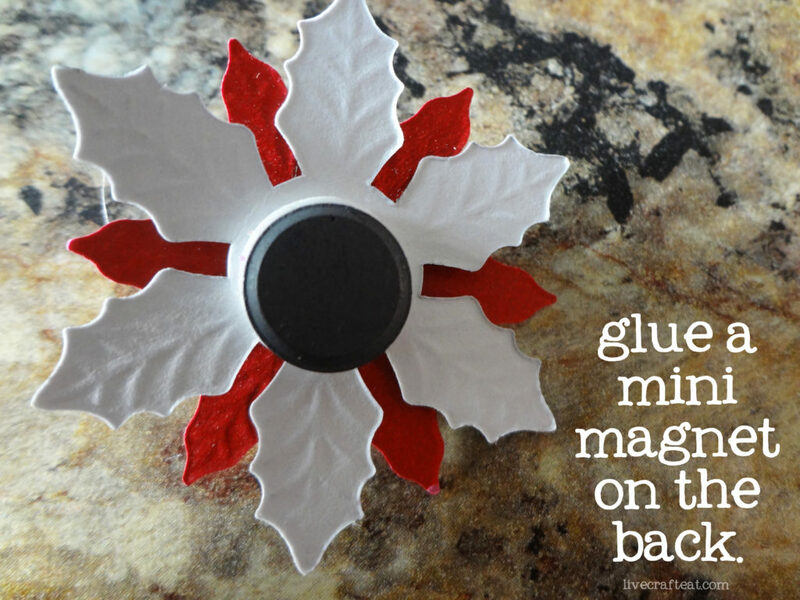 6. using a hot glue gun, attach mini magnets to the backs of small christmas decorations. i got all my trinkets at a dollar store – they came in packages of about 12 or so of each item. 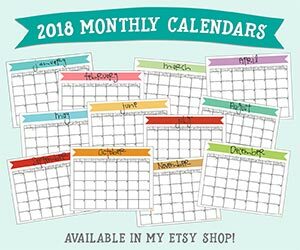 so i ended up making some of these calendars for my sisters and sisters in-law! aaaand, that’s it! 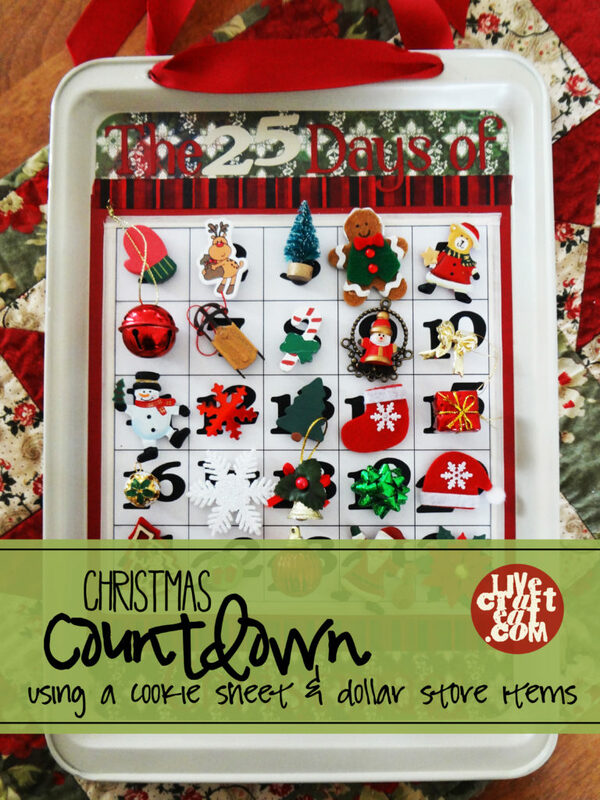 hang up your christmas countdown calendar, place the box near to it, and each day let your little ones pick their favorite trinket for that day and mark it off. they will love it. and you’ll love it too! « the 12 days of christmas giveaways – preview!! What a cute idea!!! I would love it if you would come link it up at my Family Activity linky party!! It’s adorable!